I have a big head and I love hats - that oxymoron creates quite the conundrum. Lucky for me, I recently discovered that some stores make hats in different sizes. 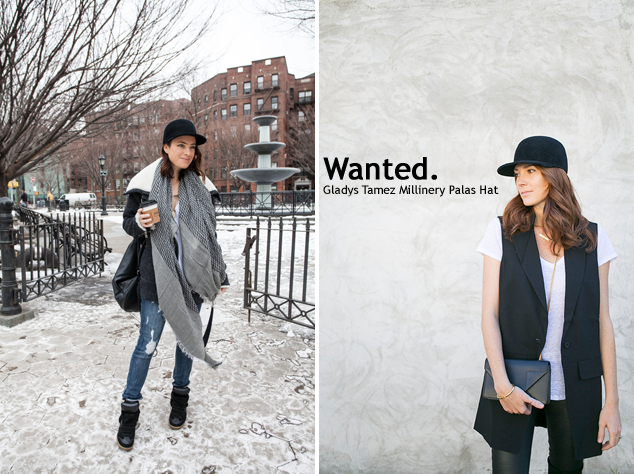 During the colder months Alicia, from Cheetah is the New Black, and Sam, from Could I Have That, had been rocking an awesome Gladys Tamez Millinery cap. I had been craving it but wanted to find a cheaper alternative. After searching countless sites I came across a great option from Asos. When the hat first arrived I wasn't sure if I could pull it off, however, I threw caution to the wind and kept it. My cap and I have been inseparable ever since. 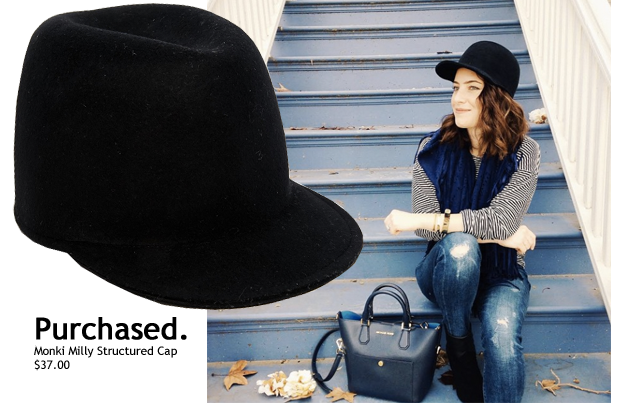 Next on my hat wish-list is a black straw fedora from Madewell - the straw material is perfect for the summer! *Photographs taken from Cheetah is the New Black and Could I Have That. Collages created by Gabriela Monsanto.